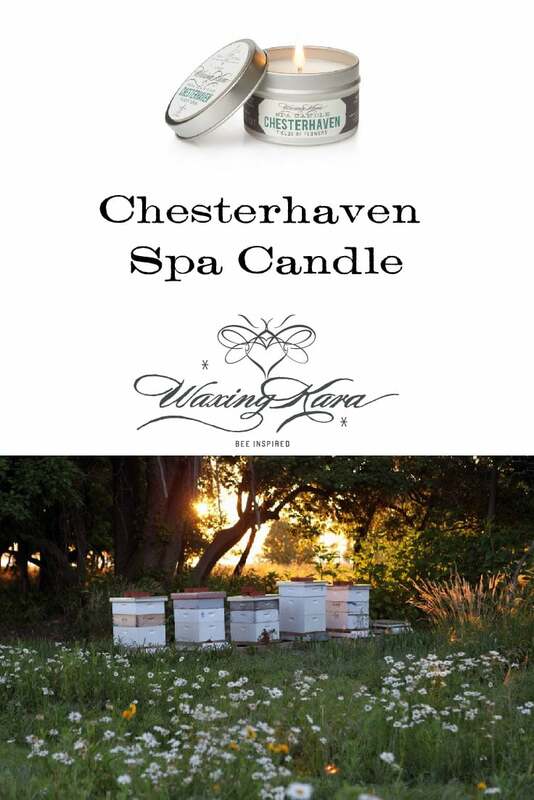 Chesterhaven Spa Candle was inspired by Waxing Kara’s farm, with the scent of wildflowers, berries, fruit and bergamot. Light the candle, melt a pool of wax, and massage onto dry skin. Completely body safe and designed to burn at body temperature. Made for all skin types. 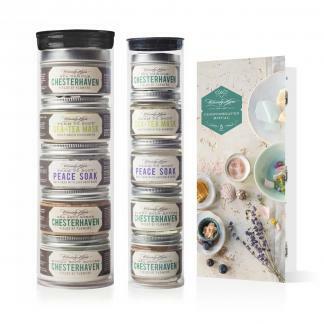 When melted, a Chesterhaven Spa Candle will provide a rich warm moisturizing oil for very dry skin areas. Your heels, elbows, and hands will never feel better! For best results, use at your next massage, after a bath or right before bedtime. The scent of Chesterhaven is light, floral, and completely unique. Fragrance: Floral blend of essential oils lightly drenched wildflowers, berries, fruits and bergamot. Inspired by the Chester River on the Eastern Shore at springtime Fresh Air. Soft, not heavy. Will remind you of a flower meadow in early spring with a hint of honey. Weight: 4 ounces. Measures 3″ x 2″.